Richard L. Heggelund joined Stonebridge as a Financial Advisor in 2003. Rick is responsible for monitoring financial performance of portfolio companies, establishing metrics and evaluating internal controls. He most recently served as Interim Chief Financial Officer of ADI and USA Wireless Solutions, Stonebridge portfolio companies. Previously, Rick was Vice President and Chief Financial Officer of CII Technologies, Inc., a diversified manufacturer of advanced control electronic components and a former Stonebridge portfolio company. 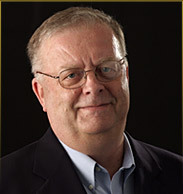 Prior to that he served as Vice President of Finance of Parker Hannifin’s Abex NWL Division, Vice President and Chief Financial Officer, Secretary and Treasurer of Datron Inc. and in various significant financial positions with Gould Inc. Rick began his career with Ernst & Ernst after earning a BBA in Accounting from the University of Wisconsin-Madison. Rick resides in suburban Chicago, Illinois.